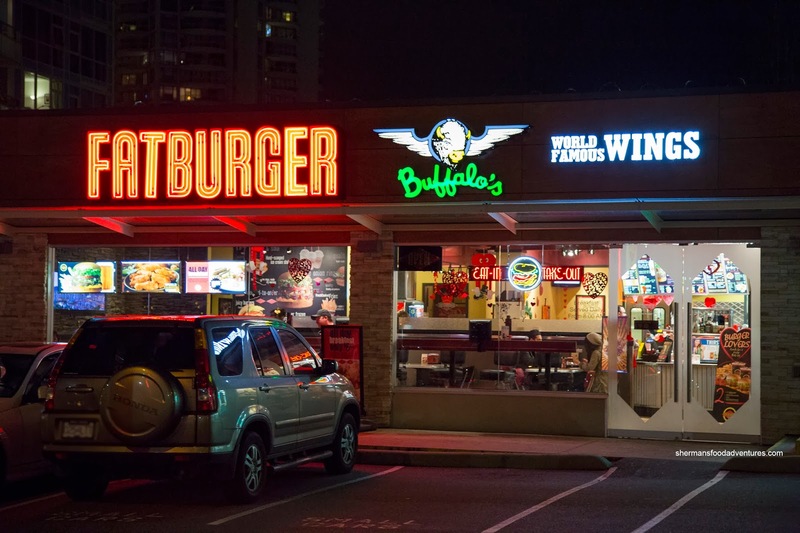 I gotta admit the Fatburger was pretty good. With a relatively juicy patty (and fatty), there was no issues with moisture, considering all of the we ingredients as well. I liked the use of real cheddar as well as the soft toasted bun. So Viv decided to get a salad with her burger which was all wrong in my eyes. 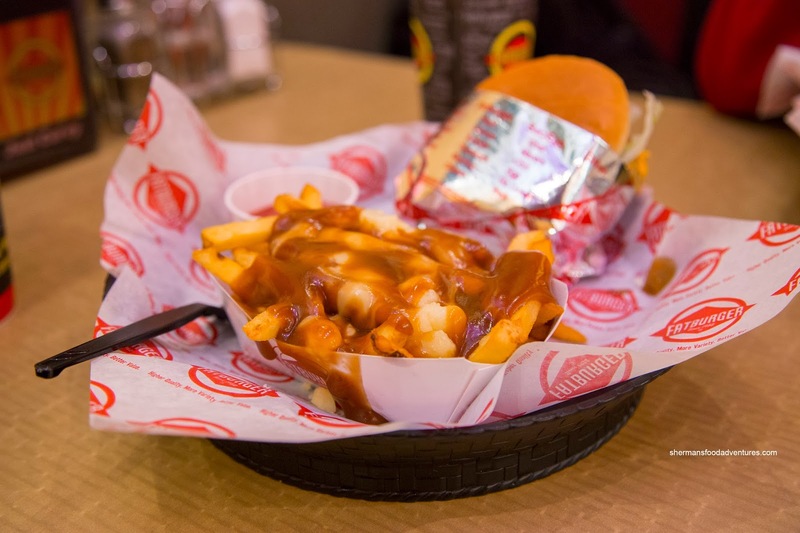 Consequently, I had to make up for her poor decision by upgrading to a Poutine as a side. The cheese was all melted and really, it wasn't squeaky curds anyways. The gravy was really thick and somewhat salty. The fries were good tough being crispy and fluffy inside. 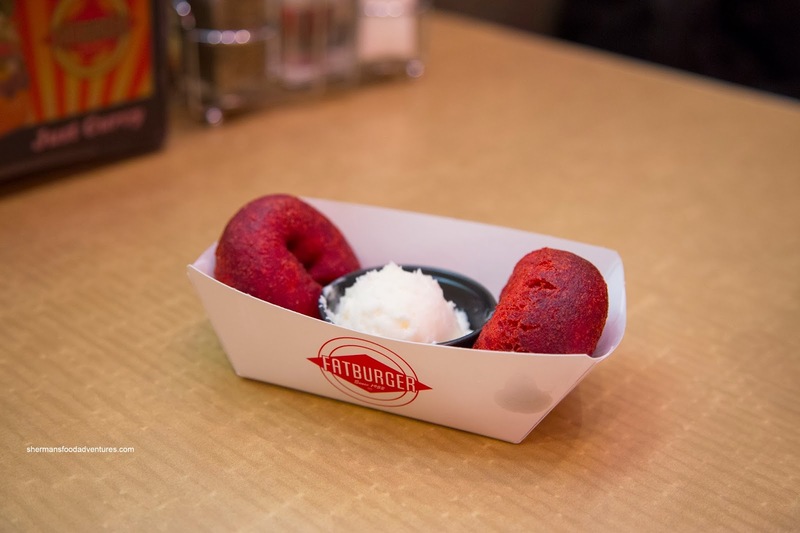 To be blunt, I hated the Red Velvet Donuts as they were greasier than a kitchen floor in a Chinese restaurant. Yes, they were crispy, but ugh, the oil just dripped from the darn things. Oh and that icing... too much and too sweet. 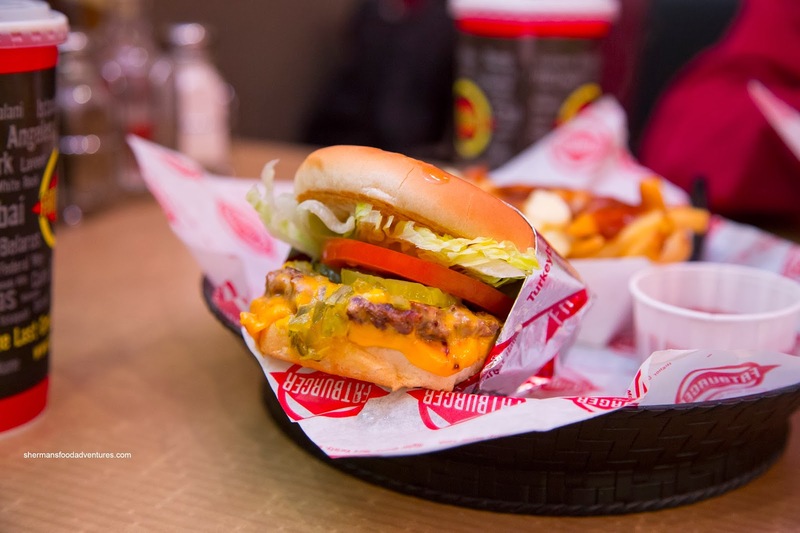 A week later, I noticed a Groupon for Fatburger and yes, I returned again (I'm Chinese, I love a discount...). The burger was exactly the same (consistent at least) and I decided on regular fries since Viv didn't go for a salad (have to maintain the grease continuum). They were fried golden and crispy. Okay, these 2 visits were an eye-opener for me. 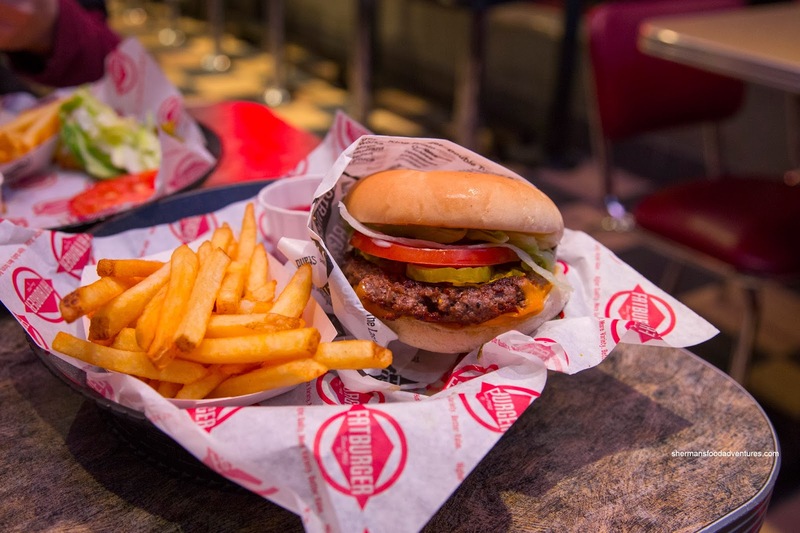 I discovered I actually don't mind Fatburger, but not the prices. Is there another coupon out there? I don't mind paying a little extra for a good quality burger but the price to make it a combo is quite high (I think it was $4.50 or $5.00?). I tried the Buffalo's wings there a while back. Can't remember the price but it seemed very expensive for what you get. Their hot sauces are kinda wimpy heat-wise. I'd recommend ordering it one step down from "suicide" if you want it to be like what most other wing joints serve as "regular" buffalo wings. Check out Splitz Burger on Main St. They have weekday $3.99 special (burger only, no fries nor drink). Their condiments bar behind the counter is amazing. Fries are pretty ok, but don't order the onion rings.